After a struggle in the first round against the Pacers, the Cavs didn’t look so good going into the second round playing the Toronto Raptors. However Lebron, the great player he is, led the Cavs to a 4-0 series win against Toronto. Making it 10 straight won playoff games in a row for Lebron James. Kevin love decided to show up for the Raptors series and averaging a double double — twenty point five points and eleven point five rebounds. The Cavs also played great defense. Rookie Cedi Osman got some playoff playing time because Rodney hood refused to play in-game for of the eastern conference semi finals. The Boston Celtics closed out a close game on their home court the knockout the 76ers. It will be the Cavs and the Celtics facing off in the conference finals. 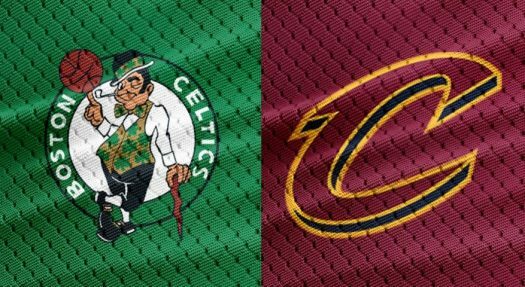 This very young Celtics team are very hungry and look to finally take down Lebron James and the Cavs. The Celtics don’t have their two best players playing and they are making a strong impression in the playoffs. They also have one of the best coaches in the league. The Cavaliers will head to TD Garden home to the Celtics to start the Conference finals. The game is on Sunday, May 13 at 3:00 pm eastern time. The Cavs Celtics game is on national TV(ABC). If the Cavs win the series they will go on and play the winner of the western conference finals. They will play the Houston rockets or the Golden state warriors in the NBA finals.